I’ve been a big slacker about getting any sewing done lately, what with the new baby ducks, and my utter laziness. But I do still have something to share with you this week- a brand new (to me) sewing machine. This jewel was my birthday gift from my husband. It’s about a month after my birthday, but I didn’t decide what I wanted until right before my birthday, and then I had to find one. 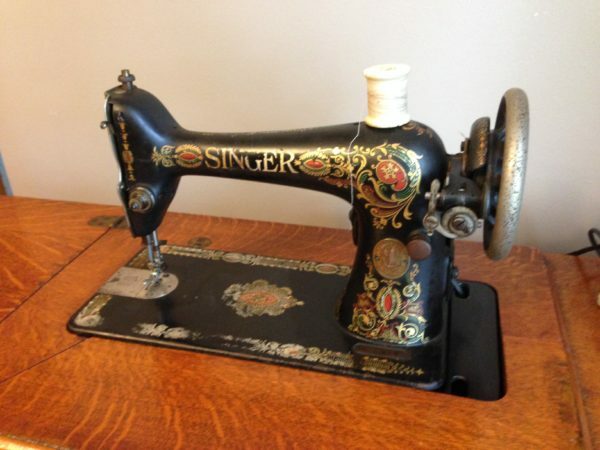 I found this beautiful Singer 66 treadle machine on Craigslist. And thanks to my dad driving to Percy, IL (2.5 hours each way), I now have a beautiful treadle machine. Since I purchased the machine, some lovely people in the Vintage Sewing Machine group I’m in on Facebook have given me some great information about my machine. I found out that it’s sitting in a #6 cabinet, which is not very common. And also that this particular machine is known as a “Red Eye,” due to the decal design on the machine, which was also only ever used on a Singer model 66. This one currently has a motor mounted on it, but I plan to remove it and use the old-fashioned treadle. I can’t wait to get started and share all of the lovely things I’m able to make with this machine. 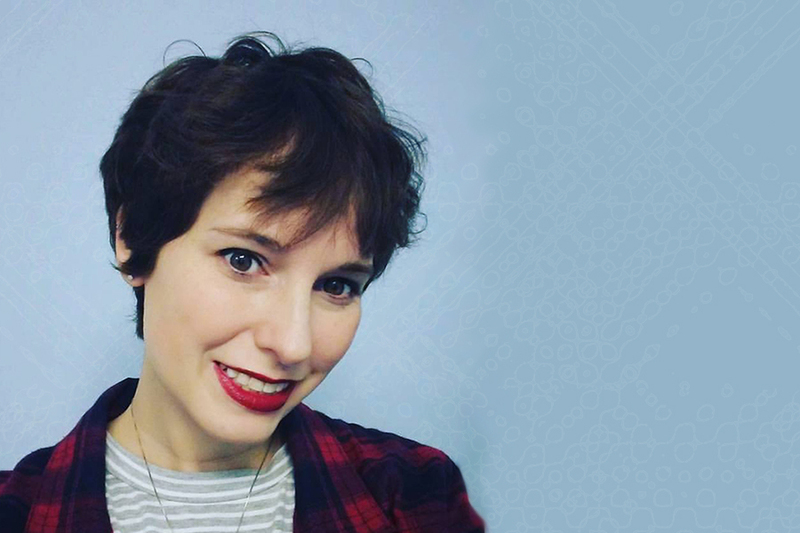 ← Previous Previous post: Bookish Questions – Are any of your friends readers? Beautiful, both the machine and the cabinet. My neighbour had one like that, she would be nearly 90 now. Thanks so much! I’m really looking forward to using it. So often with classic treadle machines, if there was an instruction manual it’s long gone. See if you can find some kind of model number on it, even a name would do, and google it. That helped me out. 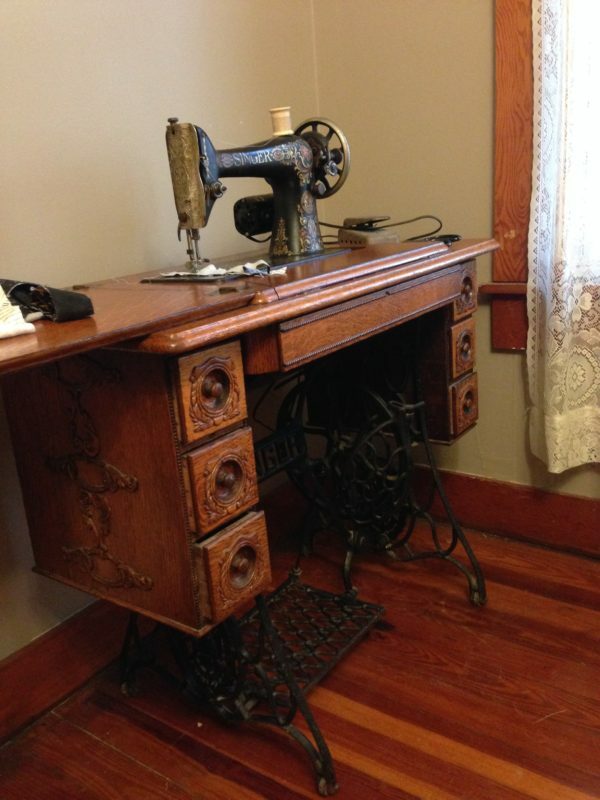 My first Sigma sewing machine was bought new in 1985, and I had the option of motor or treadle! Spain was a different country then. Motor’s nice because you don’t need to have a cabinet. But then, you have to set it up every single time, too. My mom used to oil her machine before each and every use. I don’t know if it’s all that necessary, or if she just didn’t use it very often. Fortunately, it’s easy to find the manuals for old Singers online. The singer website actually provides free downloads for all of their manuals, and print copies are available as well. Thank you so much for the link. I’ll be sure to check it out.